In this post, we’re featuring two builds. The first features AMD’s Ryzen 3 2200G with Vega 8 Graphics. Its competitor utilizes Intel’s i3-8100. Because of Ryzen’s superior integrated graphics, it’s likely to give you better gaming performance out of the gate. However, there are some reasons we still like the Intel option. Going from our cheap $200 build to a budget of $300 makes a world of difference in terms of performance. In this case, it takes us from 720p gaming to solid performance in 1080p. In the past, I’ve heard people say it’s simply not worth it to build a PC unless you’re willing to spend $500. As a result of this build, I feel that this mentality might change. Perhaps it’s AMD’s Ryzen 3 2200G that makes it all possible. The Vega graphics are truly capable of 1080p in eSports gaming. Last year, I was able to put together a Pentium G3258 Build along with a GTX 1050 for $300. With the current state of the GPU market and expensive DDR4 memory, this simply isn’t possible. Instead, I find myself struggling to figure out how to fit in a GT 1030 for even $400. Speaking of the GT 1030, it’s capabilities in games is very similar to that of what you’ll get with the Ryzen 3 2200G and VEGA 8 graphics. Still, I like the upgrade path of the Ryzen 3 2200G better. A 4 core CPU that’s capable of handling a graphics card like the GTX 1050 TI or RX 570 if you decide to upgrade later on. You certainly won’t get that type of potential out of a Pentium processor. Here’s a look at two budget $300 to $350 PC builds from Intel and AMD. The Intel build features the i3-8100, and is more on the $350 side. Below, we’ve included benchmarks for what you can expect from these builds. These PCs play popular eSports games like Overwatch, DOTA 2, LOL, Hearthstone, CS:GO, and others fairly well in 1080p. Some modern AAA titles may need to be played in 720p. Before you go, be sure to vote for your favorite build. As a gaming CPU the G4560 isn't far behind the Ryzen 3 2200G. See benchmarks below. *This motherboard may need a BIOS update with the Ryzen 3 2200G. AMD is handing out boot kits if you run into this problem. See here. ASRock H310m-DGS *B350 motherboards may require a BIOS update. 400 series motherboards should be available shortly; however, may be more costly. 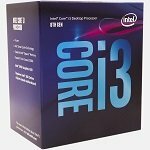 New budget H310 motherboards are available for Intel builds which allows the i3-8100 to be used here. Memory G. Skill Ripjaws 2x4GB DDR4-3000MHz or Patriot Viper 4 2x4 8GB 3000MHz G. Skill Ripjaws 2x4GB DDR4-3000MHz or Patriot Viper 4 2x4 8GB 3000MHz Ryzen thrives on faster memory. So, we recommend spending $5 to $15 more here for a kit that has 3000Mhz memory. Graphics Card The Ryzen 3 2200G will give you similar performance to a GT1030. The i3-8100 is the better performer overall, but has poor integrated graphics in comparison. That being said, if you're planning on a dedicated graphics card right now, iGPU performance will mean little. Case Thermaltake Versa H21 or N21 Thermaltake Versa H21 or N21 Look for other cases like the Corsair Spec 01, and Corsair 100R that often come on sale for a better option at the same price point. 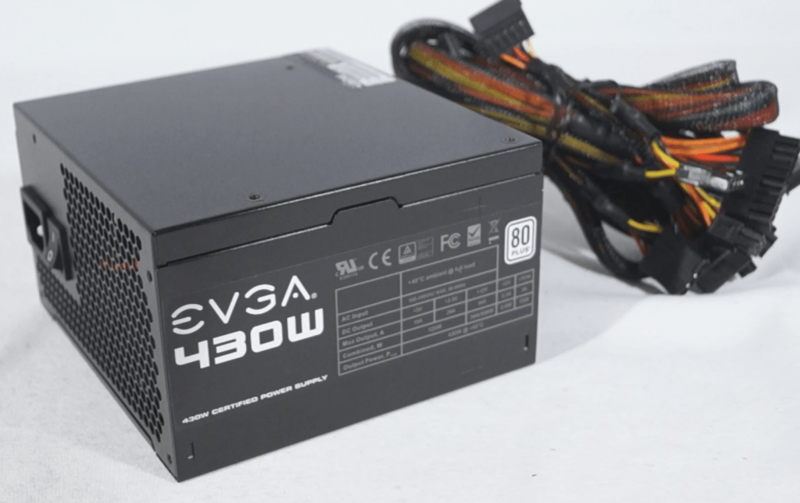 Power Supply EVGA BT 450W, EVGA W1, or Corsair VS Series EVGA BT 450W, EVGA W1, or Corsair VS Series Find an 80 Plus PSU from a reputable manufacturer here on rebate and you should end up spending no more than $25 here. Check Price On Amazon Check Price On Amazon Prices may vary by date and retailer. Be sure to look around if you're trying to get the best deal. Both of these processors offer great value at their respective price points. The i3-8100 comes in at around $20 more has the same amount of cores but better IPC overall. This ldeas to better performance with a dedicated graphics card. The Ryzen 3 2200G has GT 1030 dedicated graphics card performance and represents an all-in-one solution for gamers who don’t feel the need to purchase a dedicated graphics card. If you’re using a dedicated graphics card, both of these processors are fairly similar in terms of in-game performance with the i3-8100 having the lead overall. For integrated graphics, the Ryzen 3 2200G is head and shoulders above the HD 630 dedicated graphics of the i3-8100. For the Ryzen 3 2200G, we’re planning on using the integrated VEGA graphics. For Intel, you get Intel 630 UHD graphics. The GT 1030 last year was priced at around $70. In 2018, we’re seeing it available for more like $90. However, in the next few months, with additional offerings, you may see that price come back down. We’d also like to see the price of the GTX 1050 and 1050 Ti come down here. If the GTX 1050 comes down to it’s normal “around $100” price range, it makes the Intel version of this build much more appealing as the GTX 1050 would offer substantially better graphical performance when compared to what the Ryzen 3 2200G APU can handle. Still, we know the Ryzen 3’s place here. It needs to be capable of playing today’s latest eSports games and then be a good option for upgrading later on down the road. The prospect of adding a dedicated graphics card to what is already a stellar $100 CPU is one that I think appeals to a huge number of gamers who can’t get a decently priced graphics card right now. Testing games recently did a comparison of the Ryzen 3 2200 G and the G4560 in 8 games along with a GTX 1060. While I think the GTX 1050 Ti would have been a better option here (the GPU is bottlenecked by the Pentium G4560 here), it’s still a real-world scenario and something I’m sure many would consider going forward. Also, considering that when you actually upgrade this system better GPUs will be available at each price, it’s something to consider. Another comparison we found worthwhile was the Gamers Nexus comparison of the Ryzen 3 1200 G4560 along with a GT 1030. This may be more representative of what you’d get if you upgraded to something more like the GTX 1050 Ti. As you can see there’s very little real-world performance difference between the two. And in this case, if you went with the Intel, you’d have saved a little bit of money. It’s cheap and affordable, but I hold no loyalty to it. The EVGA 80 Plus 430 Watt PSU is my pick for this month. Look for other options as well in the month you build this PC. While I’d recommend a pricey power supply for builds in the $1,000 price range, it’s hard to justify that for a build that costs between $300 and $350. That being said in the $30 range you can still get a 400+ 80 PLUS certified option from a decent manufacturer. This month I’m going with the EVGA 430 Watt PSU, but this option might change for you based on what’s available. If you plan on expanding much in the future, the 500w version of this power supply might well be worth it for $10 more. Look for Rosewill’s Arc and Corsair’s Builder series for alternatives that might be under rebate when you build your PC. While there are some FreeSync monitors available with HDMI, not all motherboards are compatible with this. For this reason, we’d suggest you go with a slightly more expensive motherboard here if you want to use FreeSync directly with the Ryzen 3 2200G and do a build without a graphics card. Alternatively, you could also wait until you upgrade to an AMD FreeSync compatible graphics card. 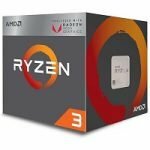 Memory is expensive in 2018; however, it’s something we don’t want to skimp on and especially if you go with a Ryzen build here. We recommend a 3000MHz 2x4GB kit. The G. Skill Ripjaws series regularly has options available in the $90 price range. Hopefully, we’ll see that come down as the year progresses. If you want alternatives, you can also take a look at our DDR4 memory for gaming post. For your PC case, you’ll want to find something that’s both inexpensive and good. For my $200 PC Build and Cheap $150 gaming PC, we used the Xion Micro ATX case. This time we’re recommending the DIYPC Zondda-O or something like the Thermaltake Versa H21 or N21. It’s an inexpensive option that has a lot to offer. Other cases that regularly fall into this price range include the Rosewill FBM-01 and 02 and Fractal Design 1000. Many other cases fall into this range when they’re on a rebate. Lately, I’ve been able to find the Corsair 100R and Spec 01 at a similar price as well. So if you’re patient, you’ll get something much better for the same price. Unfortunately, we have to slack a little bit on the storage capacity of this build. If you can, you might want to grab an old hard drive from a computer or bite the bullet and upgrade here. Still, we’ve made room for either a 500GB WD cavir Blue hard drive or a 120GB Solid state drive from Mushkin. I’d probably recommend you spend the $20 to upgrade to the 240GB version but we’ll leave that up to you. We’d like to tell you that you get better overall FPS out of this PC than the build we had for last year. Unfortunately, that’s not the case. Going with the Intel build will certainly give you better performance with a graphics card later on. However, I think the Ryzen 3 2200G gives you a perfect all-in-one solution for many of today’s most popular games. 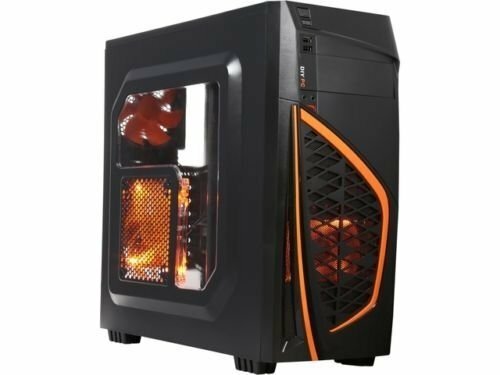 Will this pc work well for fortnite and what kind of fps will it get? I’m not extremely familiar with how computer parts work. Ummmm. I went with the Ryzen build here. I bought the Ryzen 3 2200G with the MSI B350 PC Mate as suggested. A friend said that I needed to update the BIOS before I could even get the computer to turn on. Is that true? If so: I would need a seperate CPU that would work with the MSI B350 PC Mate to update the BIOS, and then remove that temporary CPU in order to add my Ryzen 3 2200G? Why exactly do you think the BIOS version might have already been updated? is the motherboard compatible with the intel pentium G4400 ? I’ll need to buy an os still right? Hi, sir. Would a ASUS H110M-PLUS motherboard be able to overclock the Pentium G4400 well without having to update the boards bios? So would I have to buy Windows OS along with everything listed above? Can this run BF1 and Infinite Warfare? You don’t really need any fans. This is a lower power system. You said you might be selling these? I’m looking to buy one right after Christmas time can you let me know? How well would this run WoW legion or other blizzard games? I live in Sweden, And I can only afford to buy MSI Radeon R7 360 OC 2GB as my graphic card. Hey this will be the first time I will be building a PC. Is there anything else I will need? Also how easy are PCs to build? Thanks in advance. maybe you need a system case? Can anyone check if these are all the right items and also is the thermal paste pre-installed? Which case do you recommend that is cheap? this psu are realible to oc the proc and motherboard? Is this easily upgradedable? And also what case do you recommend if it is my first time building a PC. What screen should I use (can I use my macs?). How much does an operating system cost? I thought this was the $500 build? When i clicked the $500 build it brought me to the $300 build?? Is it necessary to overclock the G3258 for games like Dayz Standalone? Its good but still its not balanced . hard drive is just only 250gb and graphics card is awesome . therefore you can play all the latest games like gta v , battlefield 5 etc but the space they need, i would say that this hard drive cannot even store more than four games and then you will have to delete your old games for installing new ones and thats not good . Secondly , ram is also low as compared to the graphics card but yes still it makes sense as ram can be upgraded but graphics card cannot . But what i want to say is that the pc should be balanced rather than focusing on one thing . for 50 dollars more the same can be built with more storage and more memory and even better motherboard and processor. But still liked this build. WOuld the fifty dollars mor take it over the $300 mark? If it would then I believe the purpose of this would be lost. Its a 300 build not a 300 – 350 one. it literally says $300 to $350 build. Is the only requirement for the power supply that needs to be 430w? Help!!!!????!!!! I need the above described gaming computer put together, ready for purchase, for my son, with technical support at some point. Can anyone please help??? I’ve been going on circles for weeks! So are operating systems free or did I miss something? Hahahahaha Linux on a gaming computer. What Gaming PC case would you recommend for the $300 gaming PC? doesn’t this mobo need a bios update before you can use this CPU? so won’t i need to use another cpu first to update the bios and then put in the g3258? I was wondering if you are going to do a under 300 gaming pc build for 2015 soon? Joe, It’s coming shortly. Thanks for your comment. I have a $500 budget what’s is the best possible gaming rig you can make. I’m a complete noob at this. Scott I’m going to be posting a link to all of my updated builds tomorrow. Stay tuned.